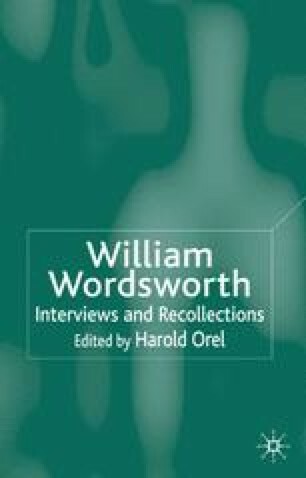 De Vere’s legacy to the Victorian Age owes much to his admiration of Wordsworth, who in turn praised generously (and perhaps beyond their merits) the poems that were submitted to him for judgment. Wordsworth, focusing on de Vere’s sonnets, called them ‘the most perfect of the age’. Despite his austere manner and a strong tendency to approve his own work above that of almost any other contemporary, he could make and keep friends – like De Vere – over a long period of time.